Swan (image courtesy of Max Mudie/ASTO). Built as a Fifie herring drifter in Lerwick, Shetland in 1900, the Swan was one of the vast fleet of wooden vessels fidhing for herring in the early 20th century. 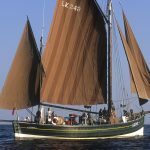 Fitted with an engine in 1935, the Swan continued to drift net for herring during the summer months and fish for white fish in the winter. In the mid 1950s the Swan ceased fishing in Shetland waters and was sold to the North East of England where the vessel continued to fish until the 1980 when it was abandoned in Hartlepool. 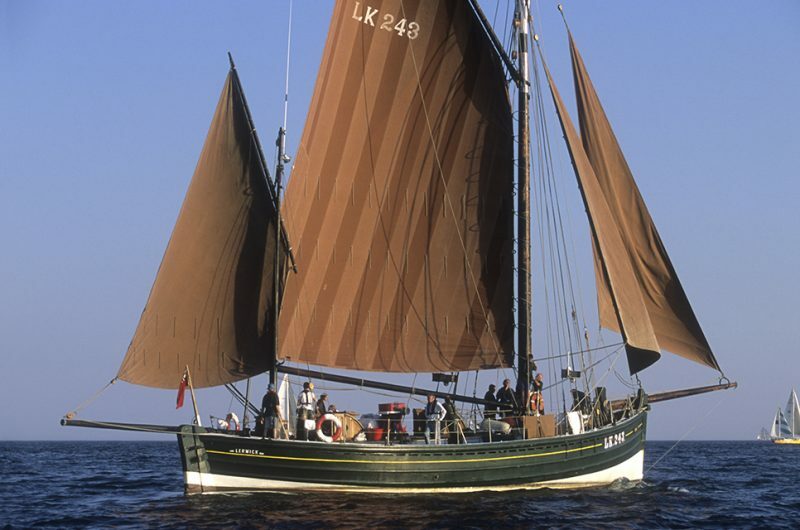 Rescued from dereliction the Swan returned to Shetland in 1991 to be restored and converted to a sail training vessel, becoming an important part of Shetland’s maritime history. Since 1995 the restored Swan has participated in numerous Tall Ships Races and traditional boat festivals.